An important gathering of the G-20, the world’s 20 most prominent economies, was held at the beginning of September in China, and the topics discussed are set to have a serious effect on Americans’ financial stability. The stage is being set to implement a decision from the G-20’s meeting last November: to include the Chinese yuan in the International Monetary Fund’s collection of world reserve currencies (known collectively as Special Drawing Rights, or SDRs) effective after September 30, 2016. But the consequences of this decision don’t bode well for the U.S. economy. The risk for the dollar and your financial security are one in the same. So when a global superpower like China starts posturing to go on the offensive against the dollar, it’s more than a little unsettling. You may not be familiar with how the concept of global reserve currencies work, and it’s easy to understand why – it’s not exactly a simple idea. But a quick crash course is all you need to grasp the urgency here. The International Monetary Fund (IMF) fulfills many of the same functions in the global economy that the Federal Reserve fulfills in the U.S. economy, and one of these functions is to control liquidity by pumping currencies into the system. When the U.S. economy struggles, the Fed prints dollars and pushes them into the economy; when the entire world economy struggles, the IMF distributes global currencies into it just the same. For the majority of recent history, only four currencies have been used for that purpose, chief among them: the U.S. dollar. Since three other currencies besides the dollar are used by the IMF to control liquidity, they’re lumped together as a single vehicle called the SDR, and it’s the SDR that the organization pushes into the global economy to accomplish its goals. Inclusion and precedence of national currencies within the SDR has the ability to either build up or devalue a country’s currency. That’s why this change inspires such worry. With China’s power and presence in the global economy growing to new heights, the IMF is bringing the yuan underneath that SDR umbrella. By doing so, it opens the door for a serious devaluation of the U.S. dollar. Keep in mind, this kind of change in the SDR hasn’t happened in nearly 30 years, and the last time something similar took place, it caused a crushing 30% decline in the dollar over the two years that followed. The mechanism that will bring the dangers of this move to fruition lies within the IMF’s plan for addressing the next big global economic reset. See, when a global crisis occurs, the IMF will not be injecting predominantly U.S. dollars into the world economy as it has in the past. Instead, the organization will likely shift to a strategy that leverages the newly changed SDR, which positions China to bolster the yuan while simultaneously cracking the dollar’s foundation. “On Oct. 7, 2016, the IMF will hold its annual meeting in Washington, D.C., to consider additional steps to expand the role of SDRs and make China an integral part of the new world money order. Chinese officials know full well what the effects of the coming events will be. 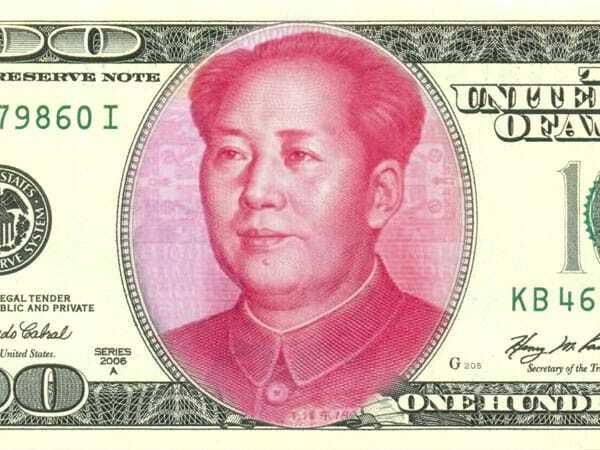 Not only do they expect that the yuan grow in value, and the dollar to slowly fall, but the resulting turmoil will likely cause a global surge in the gold market. That’s why China has quietly stashed away an unprecedented amount of gold over the past few years, with Chinese gold buying accounting for nearly 50% of worldwide gold reserve increases in the past 14 months. One of the world’s biggest economies is about to make a big move, and unfortunately, the millions of Americans whose savings are predominantly in dollar-denominated assets stand to be on the losing end. But for those whose savings are protected with physical gold? It could be your saving grace.